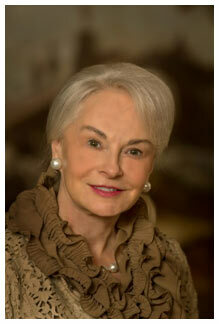 Longtime champion of education Phyllis M. Taylor, chairwoman and president of the Patrick F. Taylor Foundation, is the recipient of Loyola University New Orleans’ 2013 Integritas Vitae Award, the university’s highest honor. Loyola will recognize Taylor at the 1912 Society Dinner Thursday, Dec. 5 at 6:30 p.m. at the Roosevelt New Orleans. Tickets for the event are available at loyno.edu/1912. Ed Quatrevaux, inspector general of New Orleans, is the featured speaker. The Integritas Vitae Award is presented annually to an individual who exemplifies the qualities Loyola seeks to instill in its students, such as high moral character and a commitment to selfless service done without expecting rewards or public recognition. The award also recognizes honesty, integrity, justice and the preservation of human dignity. “To live my life with integrity is certainly a goal that I have sought to achieve. Any success I have had is because of individuals in my life who have served as models of integrity; my aunt, Winnie Miller, and my husband, Patrick Taylor, to name two. Even more of a guide comes from the precepts of Catholicism that I work to live by. I am doubtful that I deserve this recognition, but accept it as a challenge to live by its charge,” Taylor said. Taylor is chairwoman of Endeavor Enterprises LLC, a management company that oversees the various Taylor operations. In 1985, she started the Patrick F. Taylor Foundation with her husband, Patrick F. Taylor, to work toward their vision of providing a meaningful educational opportunity to every child. Taylor also continues her late husband’s legacy, TOPS, or the Taylor Opportunity Program for Students, seeking to ensure students have the opportunity to receive merit-based, state-paid college tuition. This program now exists in 22 other states and is modeled after the TOPS of Louisiana. Additionally, the foundation supports advances in law enforcement, the military, community charitable organizations and humanitarian efforts. The Patrick F. Taylor Foundation recently pledged $1.26 million in scholarship support to Loyola for academically talented, first-generation college students who reside in Louisiana and demonstrate financial need. The foundation’s grant provides seven $15,000 scholarships per year over the next 12 years for deserving students. The first seven scholarships were awarded in August. A graduate of Tulane University Law School, Taylor served as a law clerk for the Supreme Court of Louisiana and Orleans Parish Civil District Court. Her career in the oil industry began in 1972, when she became in-house counsel for Texas oilman John W. Mecom Sr. in Louisiana and Texas. Taylor serves on numerous civic and charitable boards and has led many community initiatives. She is the recipient of multiple honors and awards, including the 2013 Spark Plug Award from the Greater New Orleans Foundation, 2012 induction into the Paul Tulane Society, the 2011 Business Hall of Fame Laureate from Junior Achievement, the 2011 Dermott McGlinchey Award, the 2011 Southeast Louisiana Council Boy Scouts of America Distinguished Citizen Award and the 2009 United Way for the Greater New Orleans Area Alexis de Tocqueville Award. She was also named an Honorary Marine by the United States Marine Corps.